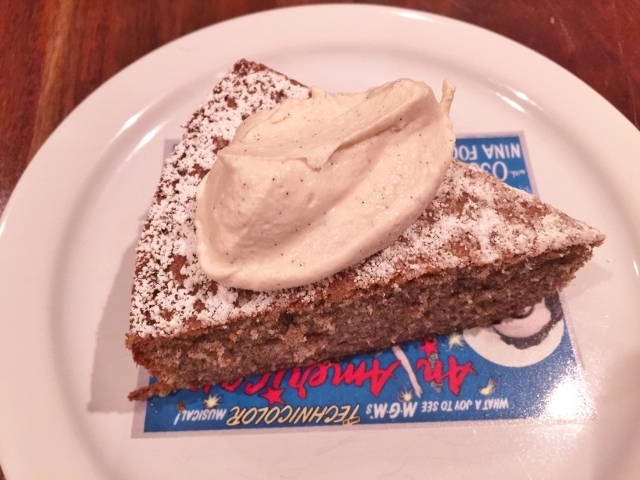 Buckwheat Orange Cake with Vanilla Mascarpone Cream - Recipe! - Live. Love. Laugh. Food. 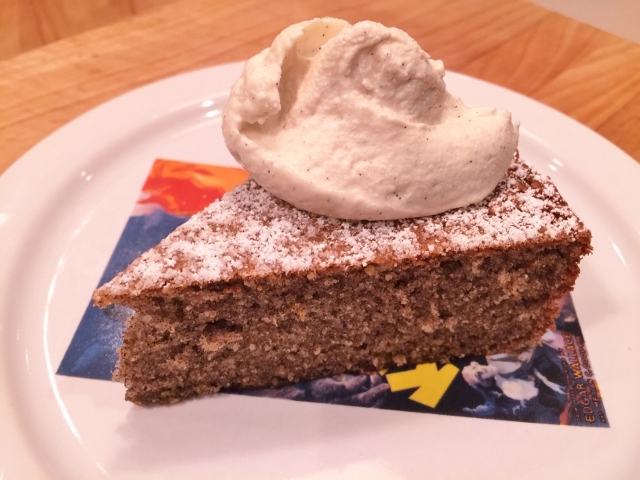 Buckwheat Orange Cake with Vanilla Mascarpone Cream – Recipe! Buckwheat is a gluten-free grain, not related to the wheat family, that is dark in color, but light in texture. The most familiar food made with buckwheat flour are blinis. Blinis are a small pancake topped with creme fraiche and caviar and are mostly served for special holidays like New Year’s Eve and Christmas. I am a fan of buckwheat flour and I like to add it to breads, cakes, muffins and other desserts because it adds richness without heaviness. If a gluten-free diet is your diet of choice, buckwheat is a great alternative to the starch based gluten-free flours. This recipe is not totally gluten-free, but you can always substitute all purpose flour to gluten-free flour for a good alternative. 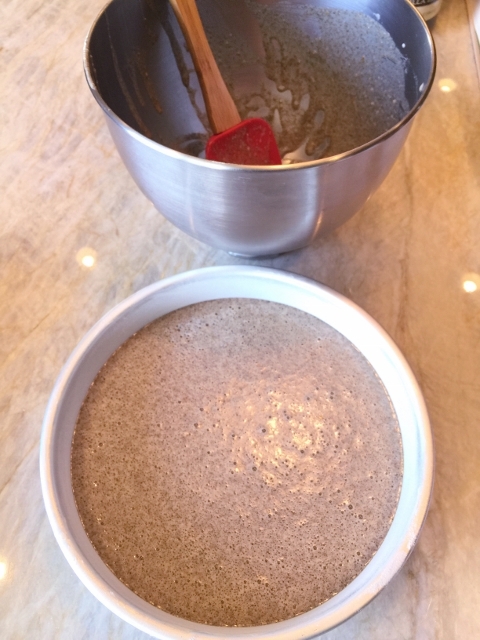 I find that if I mix buckwheat flour with other flours, the combination gives a great texture without it tasting too grainy. In this recipe for Buckwheat Orange Cake, you will love the lightness of the cake, but also the earthiness due to the buckwheat flour. The bright citrus flavors of orange heighten the taste of this recipe and pair nicely with the buckwheat and almonds flours. This cake can be eaten for breakfast, dessert or as a snack with a cup of tea or coffee late in the afternoon. The Vanilla Mascarpone Cream is another flavorful touch that I think you will enjoy! 1. Preheat the oven to 350 degrees. Grease and flour a 9-inch cake pan. 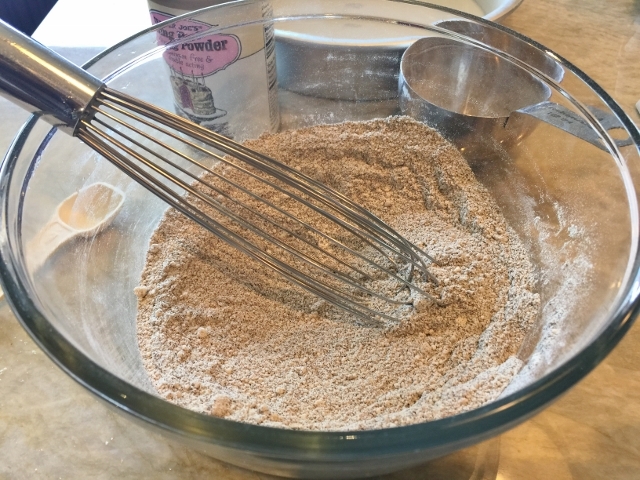 In a large mixing bowl, combine the all purpose flour, buckwheat flour, almond flour, baking powder and salt. Whisk to remove any lumps. 2. In a stand mixer, blend the eggs with the sugar and olive oil for 2 minutes or until light and creamy. Then, add the vanilla extract, orange zest and orange juice, mix again for 1 minute. Add the dry ingredients and mix on low speed until incorporated, about 1 minute. Pour the cake batter into the prepared pan. 3. Place the cake in the oven to bake for 40-50 minutes or until when a toothpick is inserted it comes out clean. 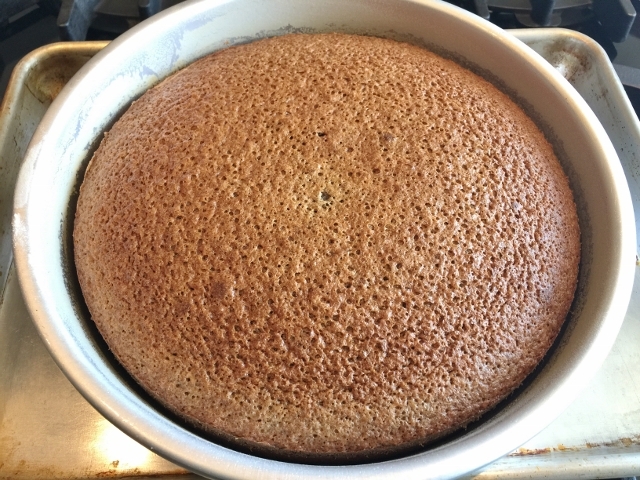 Remove the cake from the oven and let cool in the pan for 15 minutes. Using a table knife, loosen the cake around the perimeter and invert onto a cake stand or plate. 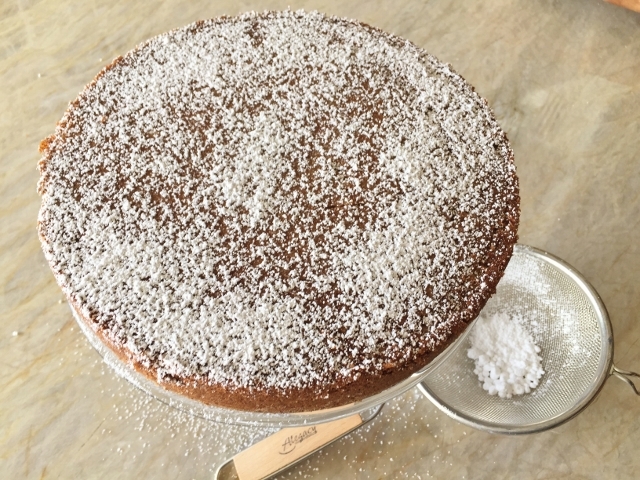 Let the cake cool to room temperature, using a sieve, sprinkle with powdered sugar. 4. When ready to serve, whip the mascarpone, heavy cream and vanilla bean paste (or vanilla bean seeds and powdered sugar), until light and fluffy, about 3 minutes. Slice the cake into wedges and dollop with the mascarpone vanilla cream. Enjoy! 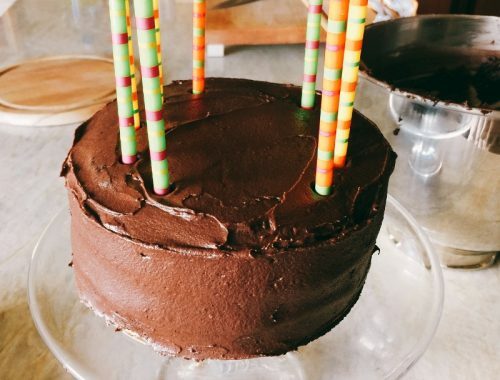 Chocolate Fudge Cake with Chocolate Buttermilk Frosting – Recipe! 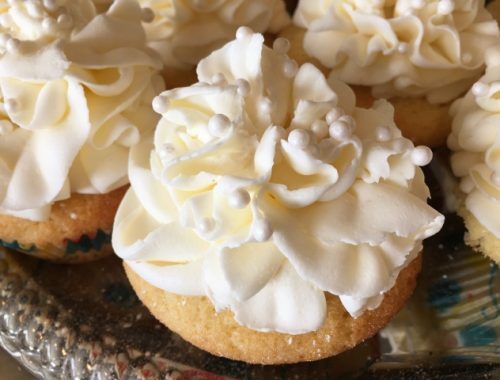 Lemon Meringue Pie Cupcakes – Recipe! 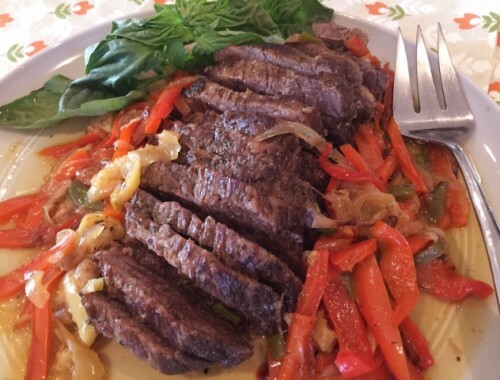 Slow Cooker Italian Brisket with Sweet & Spicy Peppers – Recipe!